PREVIEW: 'The Flash' Meets Grodd, Iris Wants Answers and What Does Wells Want with Eddie? As its rookie season heads down the stretch, The Flash is just picking up more and more speed. It sounds appropriate as the Scarlet Speedster has his hands full with the mighty Grodd. Harrison Wells has been exposed as Eobard Thawne and is holding his kin, Eddie hostage as Joe and Cisco hunt down the big ape. If that were not enough Iris is looking for some answers from Barry once and for all. 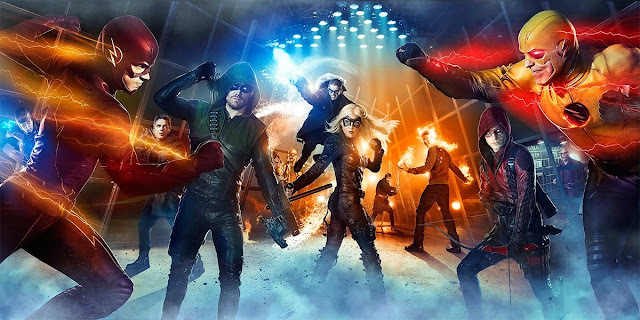 Check out these clips to prepare for tonight's episode as well as the awesome 'Superhero Fight Club' including just about everybody from The Flash and Arrow. There's a bit of a family feud going on, as Eobard Thawne, still masquerading as Dr. Harrison Wells, squares off with his captive ancestor Eddie Thawne in a new clip from tonight's episode of The Flash, provided exclusively to ComicBook.com by The CW. The Flash continues to amaze. In a season which has already introduced us to most of the Rogues, the Reverse-Flash and a pretty phenomenal Firestorm, the hit series is going where even the biggest fans wondered if it would go and introducing the classic Flash villain Gorilla Grodd.